Report: Amber Heard cast as Aquaman love interest, Mera for DC’s movies – Eggplante! The King of Atlantis has apparently found his queen, with the news coming by way of a scoop from official source, The Hollywood Reporter. Drive Angry’s Amber Heard has reportedly entered final negotiations to portray Mera, the wife of DC superhero, Aquaman, for the DC Extended Universe movies. Aquaman meanwhile is set to be potrayed by Game of Thrones actor, Jason Momoa, who will debut the character in this March’s Batman v Superman: Dawn of Justice. While Warner Bros. hasn’t yet acknowledged the news, the report corroborates industry rumblings that Mera is set to make her big screen debut in DC crossover movie, Justice League: Part One, scheduled to hit theatres on November 17th, 2017, before being the female lead in the dedicated Aquaman movie, currently set for release on July 27th, 2018. While she no doubt plays a smaller part in Justice League: Part One, Mera is said to be a big part of the Aquaman movie, which is rumoured to feature either Black Manta or Ocean Master as its villain. Furious 7 helmer, James Wan is set to direct Aquaman, which has two scripts being developed for it at present. 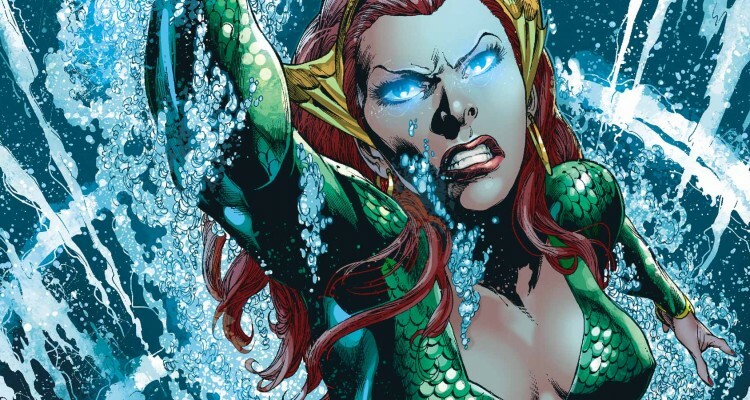 Mera, like Aquaman, is unparalleled at underwater combat, and possesses enhanced strength and flight capabilities, as well as aquakinesis that allows her to re-shape water into any form she chooses, as well as alter its density. The DC Extended Universe will mark the character’s second live-action incarnation, after she appeared in a single episode of television series, Smallville, played by Elena Satine. Keep swimming to Eggplante for all news and updates on Aquaman, Justice League, and other big developments for the DC Extended Universe.